In April, 2006, a young American man named Ehsanul Islam “Shifa” Sadequee was about to return from his wedding in Bengaldesh when he was kidnapped by agents of the U.S. government. Thus began the long odyssey of Shifa Sadequee, now in Terre Haute. About this case, the U.S. Attorney stated, “We can’t wait until something happens, or until things get very close to happening. I think we all learned on September 11, 2001 that we don’t wait anymore.” But surely we still have to wait for a crime to be committed before we convict someone of it. Like the other cases described in this section, no crime was committed; the government simply created one based on guilt by association. In the Toronto 18 case . . . a group of young Muslim men in Canada attended several training camps and also engaged in considerable general online discussions about jihad and their obligations as Muslim men. Consquently, the U.S. government looked for U.S. “associates” of the Toronto 18 and focused on Ehsanul Islam “Shifa” Sadequee, 20, and Syed Haris Ahmed, 22, both from Atlanta, Georgia, who were involved in these online discussions, although no plans had been formed to do anything illegal. Based on evidence from 2004 and 2005, Sadequee was charged with supporting a foreign terrorist organization, Lashkar-e-Taiba (LET), a group struggling to liberate Muslim-dominated Kashmir from India––although LET was not designated as a terrorist organization in the U.S. in 2005 and did not even exist as an organization then. The evidence against Sadequee included online chats between teenagers and religious literature that he had translated from Arabic to English and published online. He was also accused of sending videos of tourist sites in Washington, D.C. to his online friends, who supposedly were in contact with LET. However, the government could not demonstrate a single conversation or sentence from the online chats about plans or plots for attacking these sites. Sadequee, a U.S. citizen, had gone to Bangladesh to get married. On April 17, 2006, he and his wife were returning home when he was kidnapped by Bangladesh authorities at the request of the U.S. government. No one knew where he was for four days. His father requested the help of journalists and the public in finding his son, but the Bangladesh government kept silent. What had actually happened was that the FBI had kidnapped Sadequee and flown him via Alaska to New York aboard a “secret” CIA plane, stripping off his clothes and wrapping him in a plasticlike material during the flight. The High Court Division of the Supreme Court of Bangladesh later declared Sadequee’s detention, deportation, and handover to U.S. authorities illegal because it violated international laws. In New York, Sadequee was charged with making a false statement to the FBI. However, in pretrial hearings, the FBI revealed Sadequee had never lied to them; rather, it was the FBI who had lied in the initial indictment to capture him: while he was in Bangladesh, FBI agents had communicated with him via e-mail and chat forums, pretending to be his teenaged friends. In addition, the government had searched his luggage and found a map of Washington, D.C. 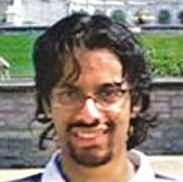 This, coupled with his sending videos of tourist sites in Washington, D.C. to his online friends, apparently caused the government to reinterpret these normal activities as something sinister, although prosecutors conceded that Sadequee was not discussing a terrorist plot; at best, they claimed that he was trying to get in contact with terrorists abroad, and that he was in some way “associated” with the Toronto 18, since he and Syed Haris Ahmad had met with some of those young men. Sadequee was jailed at the Metropolitan Correctional Center (MCC) for three and half months before the government transferred him to the Atlanta Penitentiary in August 2006. Prosecutors offered him a plea bargain: in exchange for dropping three charges, he would plead guilty to one count of material support for terrorism, agree to identify other teenagers from the chats, and testify against Syed Haris Ahmed and other Muslims who were also facing similar charges. Sadequee refused. In Atlanta, he was placed in solitary confinement for over 1,300 days. He was kept in a room that was approximately 12 feet by 8 feet with no windows or proper ventilation. During this time, his health declined significantly. The evidence at trial demonstrated that Sadequee did not send videos to LET; that he did not send his co-defendant, Ahmed, to Pakistan to join LET; and that Ahmed never joined LET despite multiple opportunities to do so. Information related to Sadequee’s kidnapping in Bangladesh was not presented to the jury. The majority of government witnesses were FBI agents who had not participated in the online chats but were allowed to interpret this evidence; no actual participants from the chats testified to interpret them. No act of violence had been committed by Sadequee or anyone else, but the connections to other teenagers (particularly the Toronto 18) were used as evidence only because they too were Muslims. The word “jihad” and quotations from the Qur’an with mistranslated interpretations were also used as evidence. Religious expression and the debates of teenagers were taken out of context by the government to paint them all as terrorists and to preemptively prosecute them. All the actual chats, where the teenagers discussed and criticized Freemasonry and their Global New World Order agenda, remained classified and were not presented to the jury. Sadequee was convicted and sentenced to seventeen years. As with Sadequee, the district attorney offered a plea bargain: three charges would be dropped if Ahmed would plead guilty to one count of material support for LET and agree to testify against Sadequee and some other Muslims who were also facing such charges. Ahmed refused, and instead chose a bench trial (only a judge would hear the evidence and decide on a verdict, not a jury) in June 2009, thinking it would be fairer than a jury trial. Although the prosecution could not prove that Ahmed made any attempt to join LET, the judge found Ahmed guilty of the one count of material support, but reduced the prosecutor’s demand for a sentence of fifteen years to thirteen, followed by thirty years of supervised release. More information can be found on the website: Free Shifa.